We literally wouldn’t be walking on this planet if it wasn’t for our grandparents. But, even if somehow we were, having them around is not only beneficial because of their wisdom of the world, but it’s also very entertaining. They’re our only time capsule of what the past used to be like. Perhaps the most entertainment comes from their constant struggle with technology and keeping up with trends. It’s a constant battle between the two and it’s really amazing. 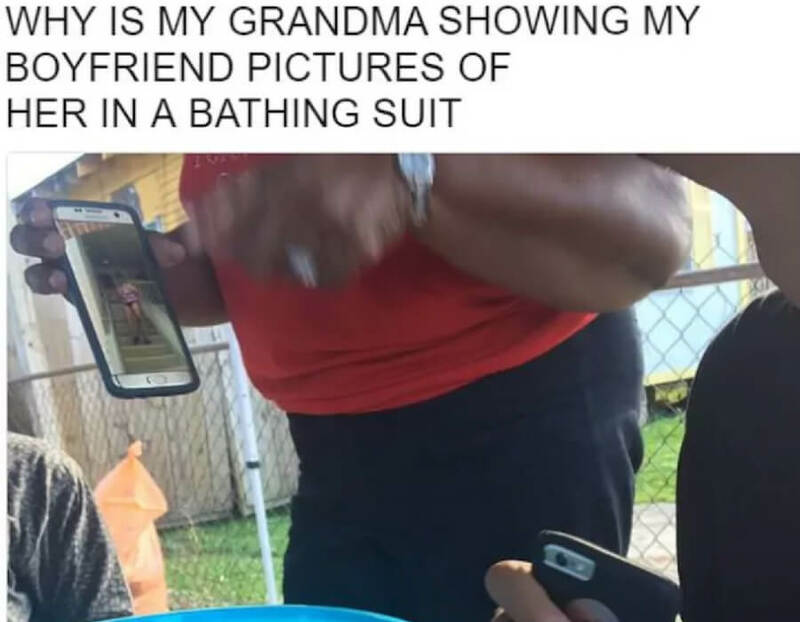 These grandparents coming up will make you wish that they could stick around forever and keep us entertained. 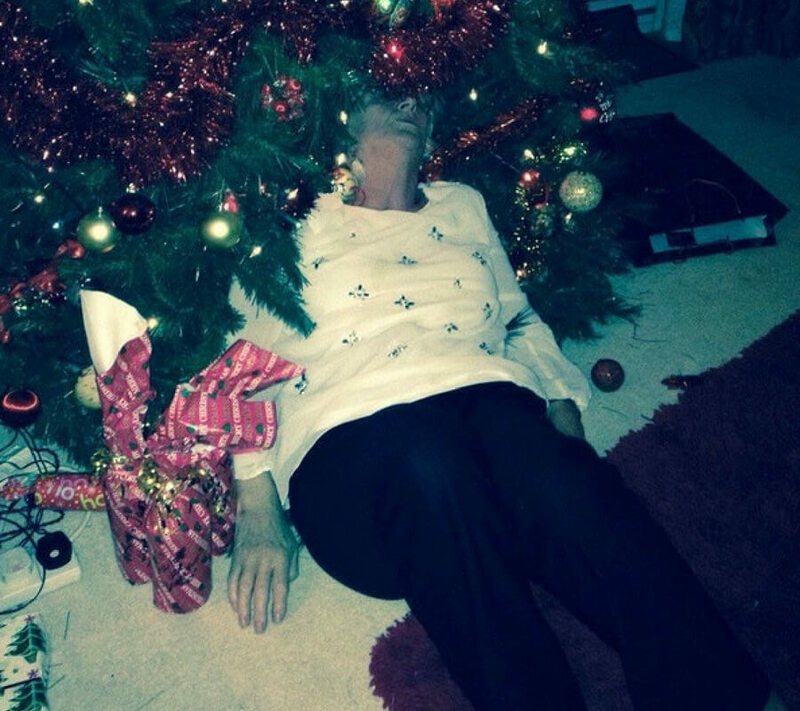 This is the end result of grandma getting a little bit too much into the Christmas spirit. She doesn’t have the alcohol tolerance she once did, and now that rum and eggnog have shown their face in the form of passing out into the Christmas tree. Love it. There’s nothing quite like having a grandma who tries REALLY hard to be relevant with young people. This grandma looks and acts like she’s about to drop the hottest mixtape her retirement home has ever heard. We’re all ears. If your grandparents haven’t asked if you remember them, are they really even your grandparents? 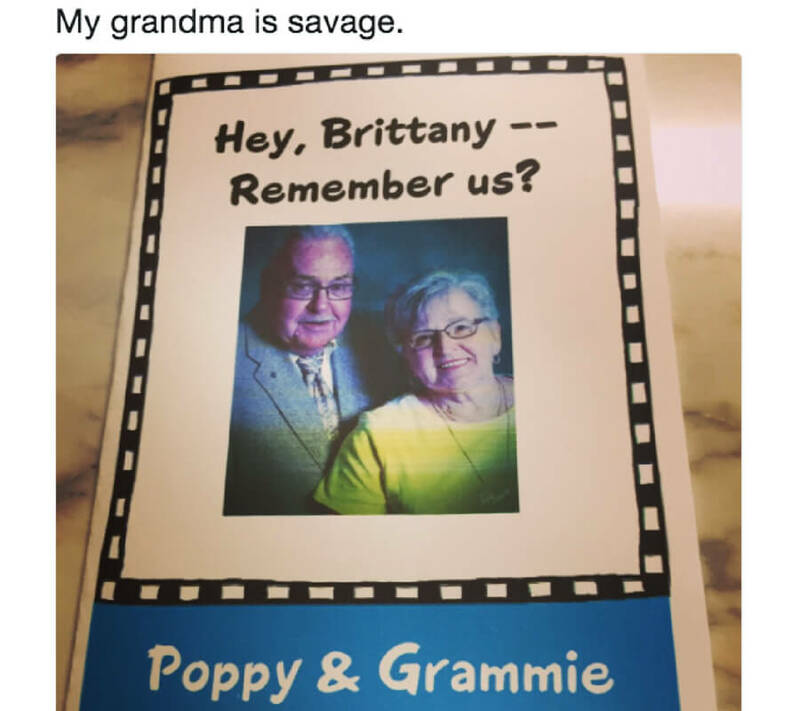 This is one of the more savage ways that I’ve seen the question gets popped because Brittany has to stare into the faces of her poor little GPs. Coming up, a picture that proves grandparents are ALWAYS over the top when it comes to gifts. 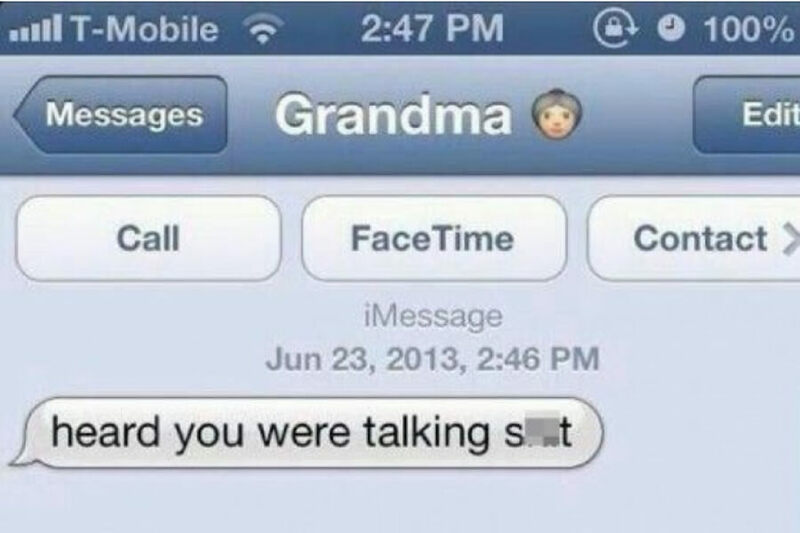 Thank God for the honesty of grandparents. Jim isn’t about to pretend he likes what he got dragged to. 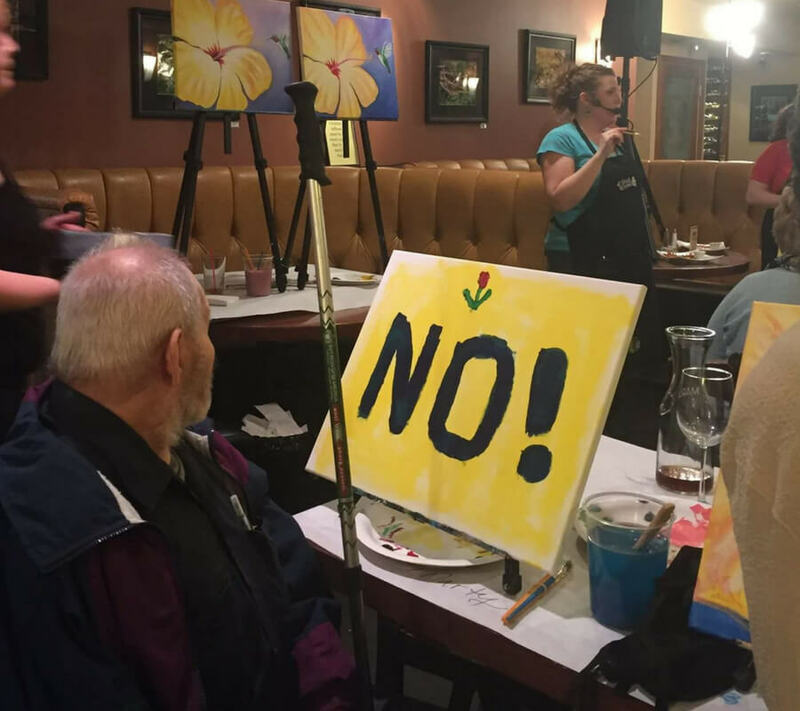 You can rest assured that this is the last wine and paint night that Jim and Anne ever participated in. He made his attitude towards the whole night VERY well known and it’s hilarious. Honestly, this is one of the most respectable things I could find out about my grandma. Designer clothing is designer clothing whether you paid $600 for a jacket or it was finessed through a five finger discount. 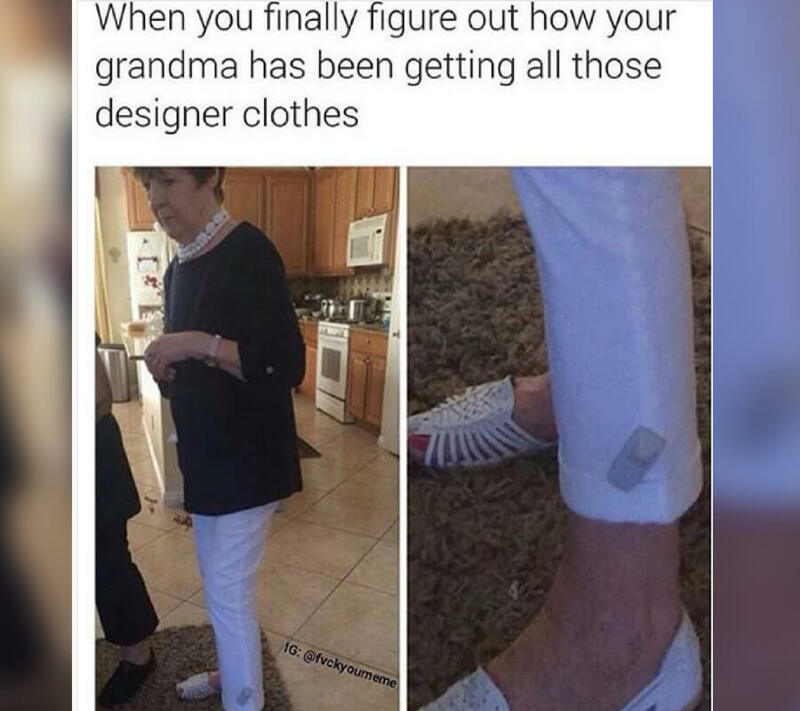 A little security tag never hurt anybody, in fact, it compliments the pants very well. One of the best things about GPs is that they spoil you rotten and always go over the top in anything they do for you. 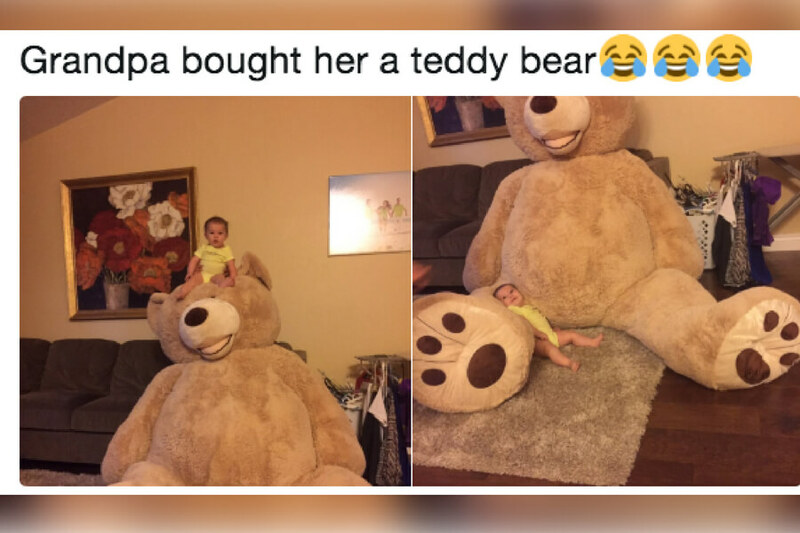 A medium-sized teddy bear would’ve been perfectly acceptable, but of course, they have to buy the most extra bear ever put on planet earth. Just ahead, a grandma who you certainly won’t want to square up with in a boxing ring anytime soon. No matter what, you can count on your grandparents for having your back both literally and figuratively. 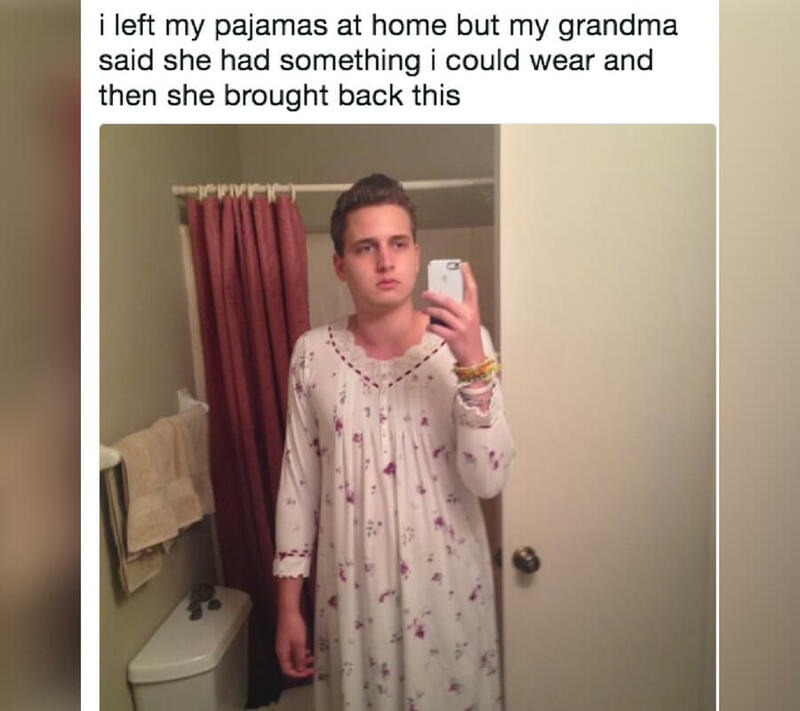 In this case, he gets to wear his grandma’s nightgown which looks like it’s straight from a horror movie. Anyone portrayed in a nightgown in a movie is possessed by the devil. Prove me wrong. For anyone who says that old people have already passed their prime fun haven’t seen this picture. If you’re a thief, you may look at old people as easy targets because often times they struggle to be able to defend themselves. 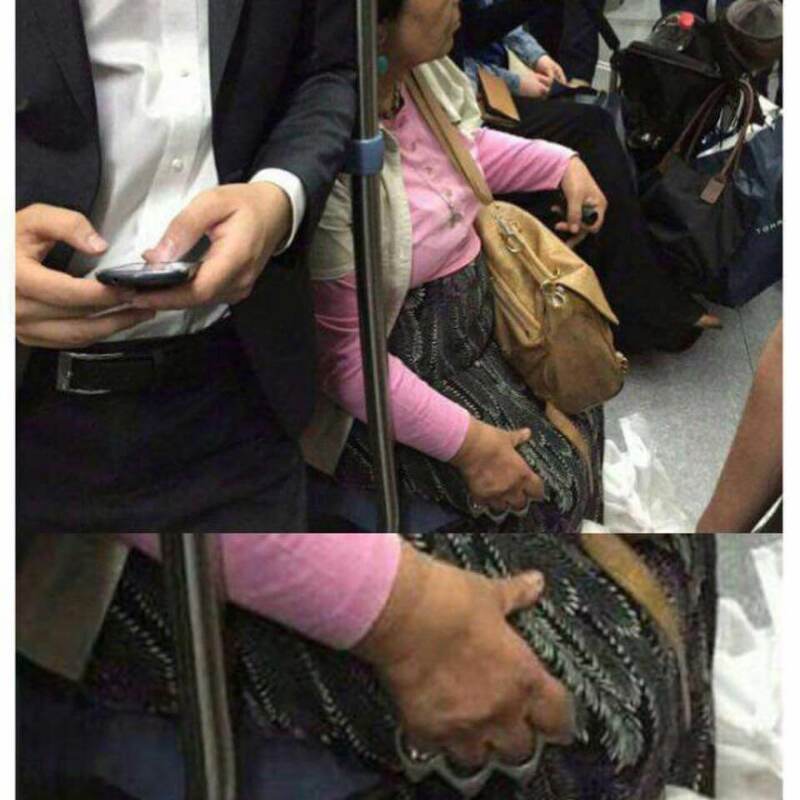 Well, you might need to rethink this after seeing this strapped grannie with some brass knuckles that are locked and loaded. 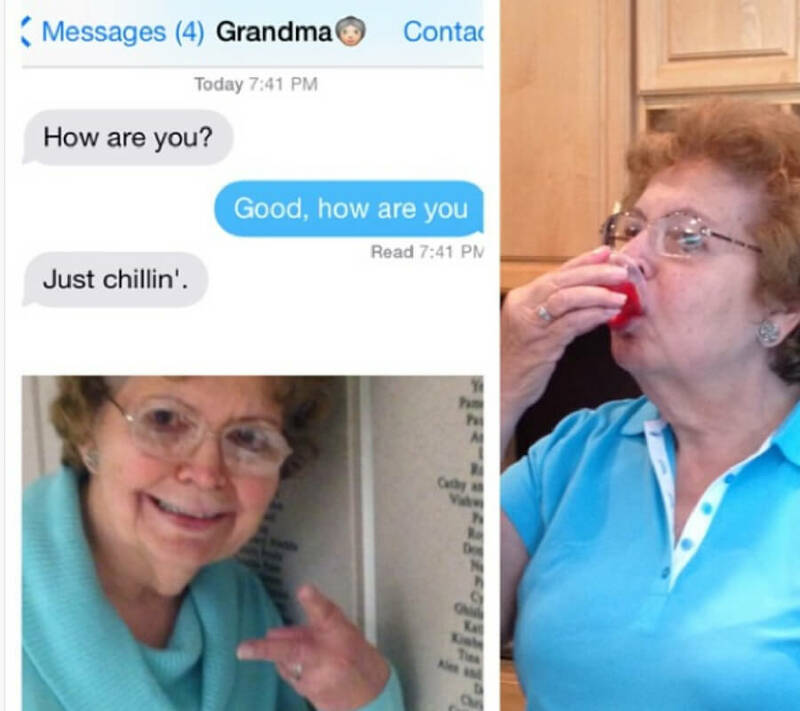 Coming up, a grandma who is absolutely going to steal your boyfriend right in front of your face. As amazing as your GPs are, you should really be afraid of them. They brought you into this world and they’re not afraid to take you out of it. If you don’t call them on a regular basis, you ignore their calls, and don’t eat their food you better look out for assassins coming your way. One of the greatest things about GPs is that you’ll never be hungry around them. The cardinal sin when you’re at your grandparents’ house is if you’re ever not full. If your stomach doesn’t feel like it’s about to explode at the seams, they didn’t do their job. 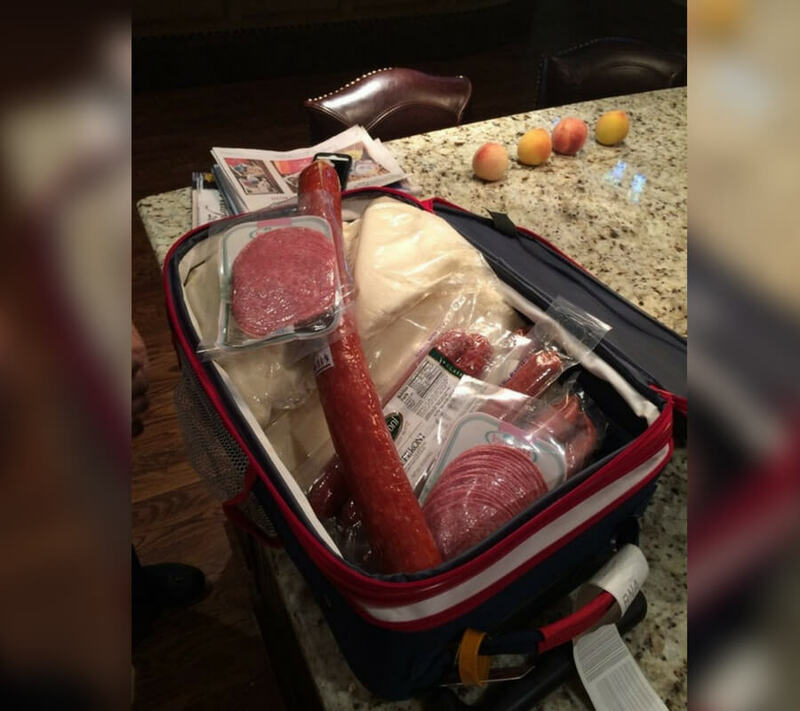 This grandma in the picture, packed an entire suitcase full of food to ensure that you never starve. 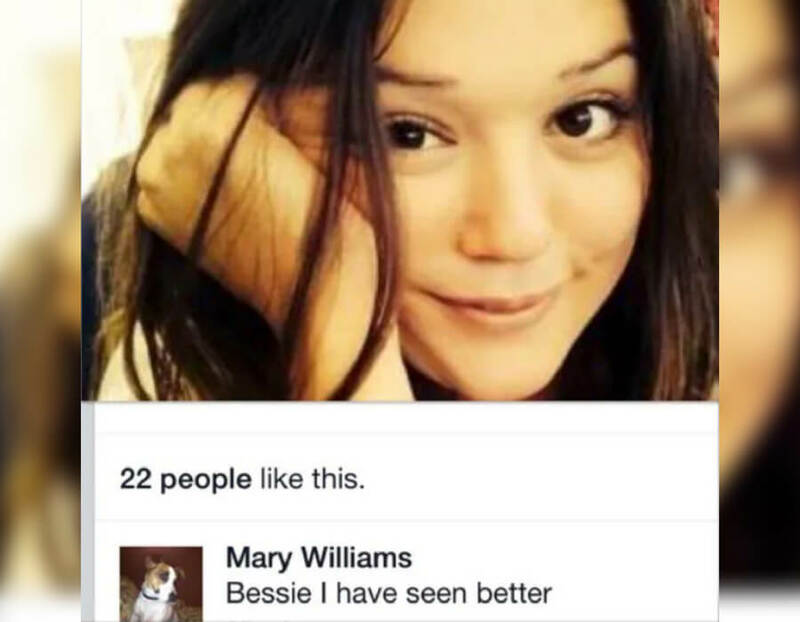 This grandma is just making sure that her granddaughter’s boyfriend knows EXACTLY where her looks came from. She’s just letting him know that she had it, and still has it. I wouldn’t be surprised if her boyfriend broke up with her and got a new girlfriend who happens to be in the same family. Just ahead, a picture that shows a grandpa who is way past the point in his life where he cares what people think of him. Grandparents are loyal until the end. They’re not afraid to get rid of their politically correct filter to make you feel better about yourself. 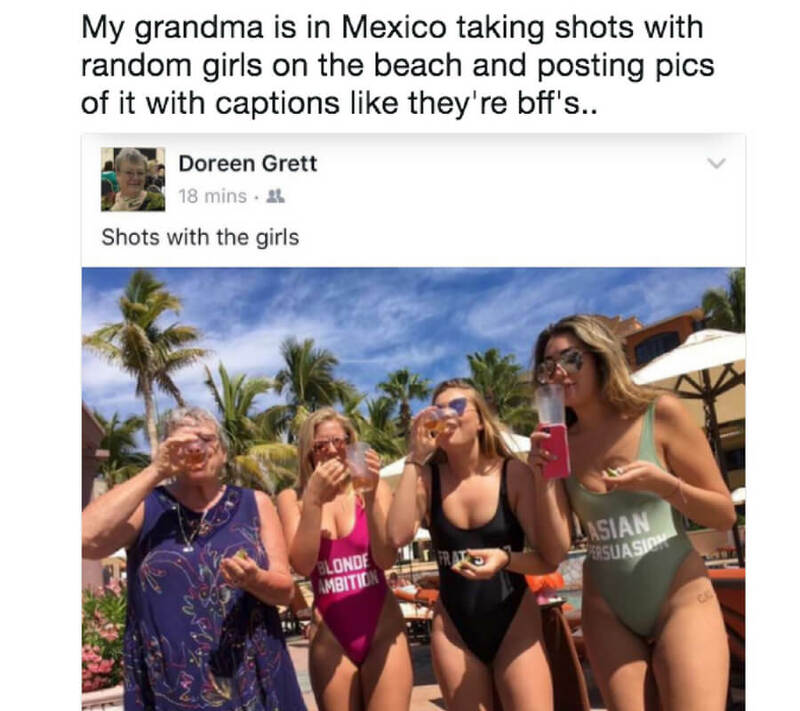 In this case, grandma decided to make Ashley feel on top of the world but had to sacrifice the feelings of her granddaughter’s friend. A sacrifice worth taking for a GP. If you want to know what the world record is for the slowest mirror selfie sent and received, it’s got to be this one. 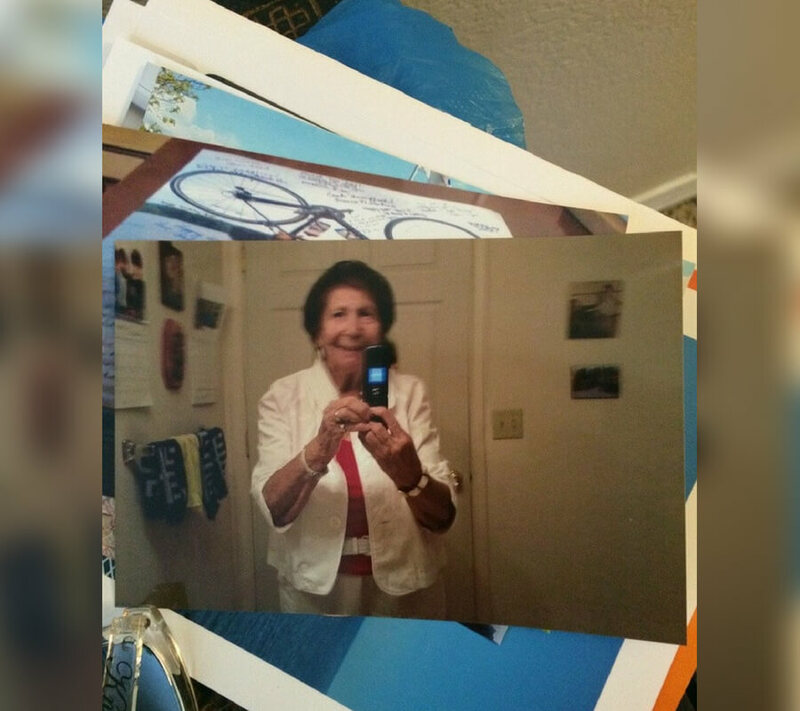 This grandma takes pictures on her cell phone and gets the printed out AND shipped to her relatives. It’s perhaps the cutest mirror selfie of all time as well. There comes an age when you just don’t care anymore and this grandpa crossed it a long time ago. 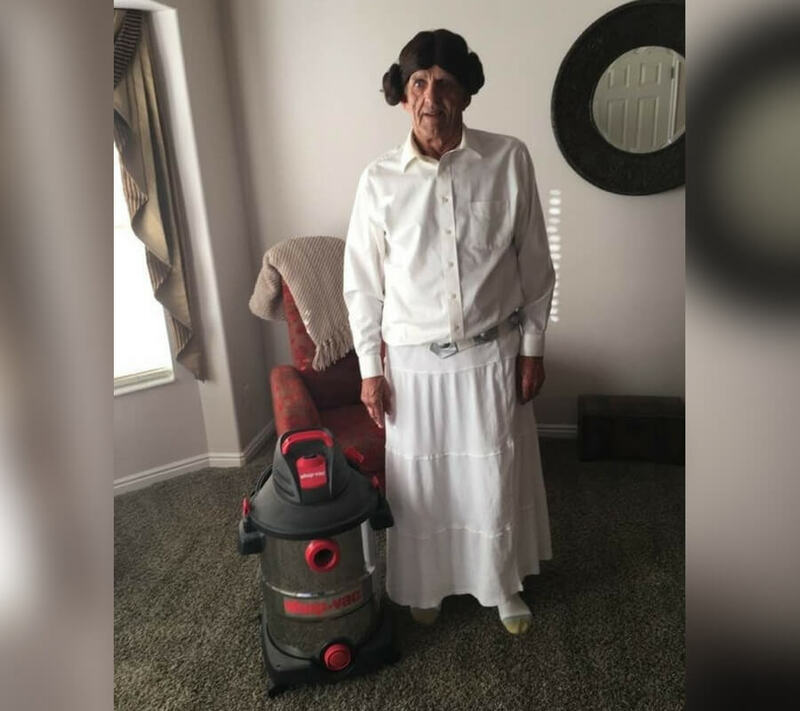 He won Halloween by dressing up as Princess Leia and had his trusty sidekick (vacuum) dress up as R2D2. Amazing. Coming up, a grandma who is very prepared for any technical difficulties and it’s awesome. It’s easy to lose track of what matters most in your life when you’re young. That’s when your GPs come in and hit yours with the facts of life. Every day is a good day because you woke up. 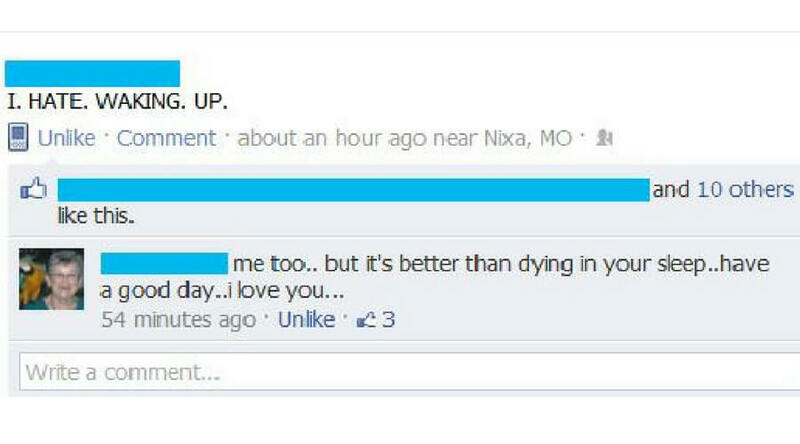 Some people don’t get to wake up in the morning so cherish it at all costs. 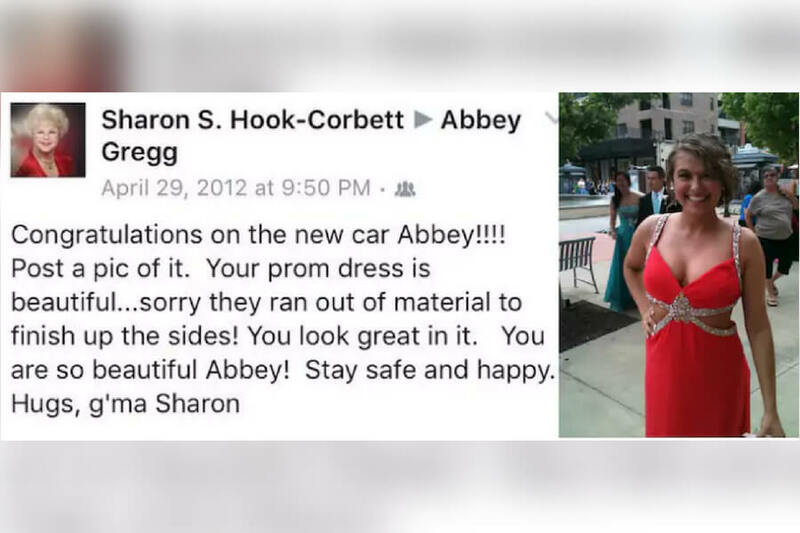 This was probably followed up with a “back in my day” post about how when she went to prom they only had cardboard boxes to wear etc. GPs will not hold their thoughts back about what you’re wearing and how they would like to fix it. For Sharon, TOO much skin showing. It just seems that GPs use their wisdom to be prepared for every curveball that life throws at them. 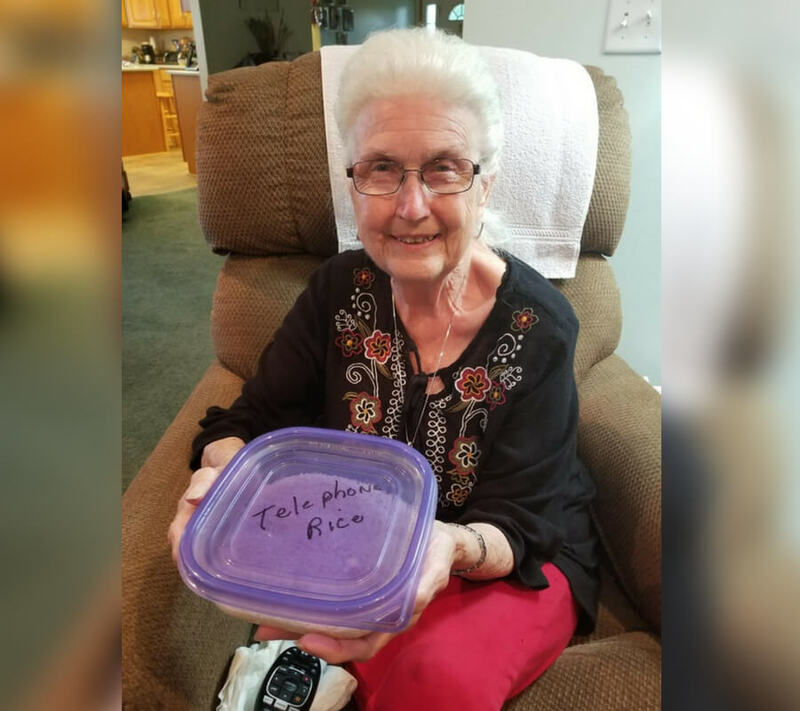 This grandma literally has rice that’s strictly for when phones fall into the water. 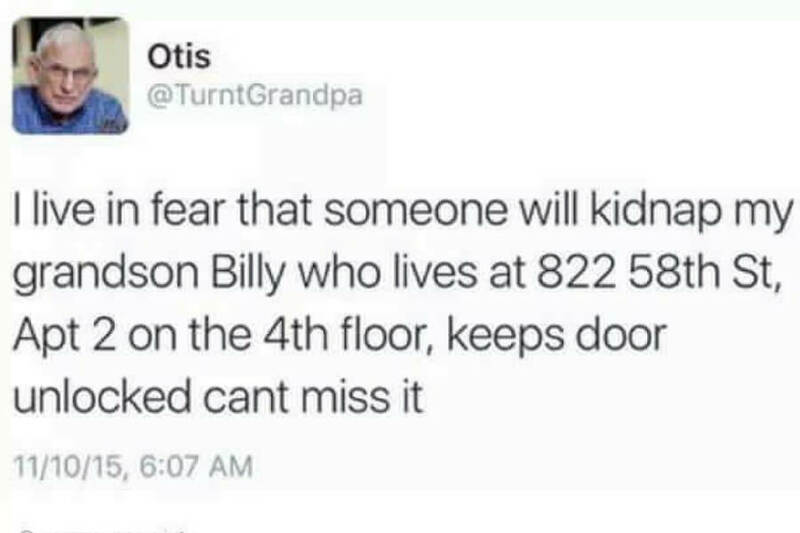 That’s actually insane, yet very smart and a great way to get the grandkids on your side. If you think that you won’t get called out personally by grandma if you bad mouth her cooking, you’re thoroughly mistaken. This GP went straight gangster and basically threatened her granddaughter after she heard that she thought her spaghetti was plain tasting. GPs won’t be afraid to publically shame you if they think that you’re not living up to your full potential. Mary wants to see a perkier smile, no cheek smash, thicker eyebrows, and teeth shown.